On account of the booming mining industries, the Australia Immigration has decided to make it easier for employers to fill the present shortages in critical skills in the resources’ sector. The Australian government plans to cut down on red -tapism with regard to processing of 457 business visas and also to simplify the “permanent employer sponsored visa” travelling towards Australia and to be able to assist the skilled migrants as well as their employers. 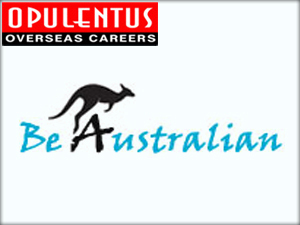 Another purpose behind this move is also to make the pathway to residency for the migrants who are skilled under the employee sponsored visa related to Australian program much easier. This recent move to quicken the process of business visas by the Australian Authorities will double the workforce in the coming two years with about 7,000 people being hired. Also the decision to make it easier the processing of recruiting “temporary skilled sub-class 457 visa to a permanent residency arrangement under the employee-sponsored visa scheme” will enable people to settle and work in Australia. These reforms will also allow businesses as well as potential migrants to navigate the “permanent employer sponsored visa program while ensuring the integrity of the Australian visa system. The Australian authorities have been much appreciative of the contributions made by the skilled migrant workers to the Australian economy.